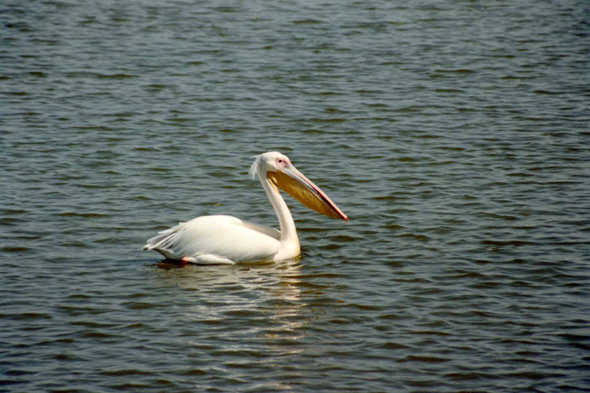 White pelican in the marshes of Djoudj. Their long and broad wings, which reach 3 metres of wingspan, make excellent gliders of it. Their beak carries an enormous pocket, of a capacity of 13 litres, used like net to capture and transport the preys.